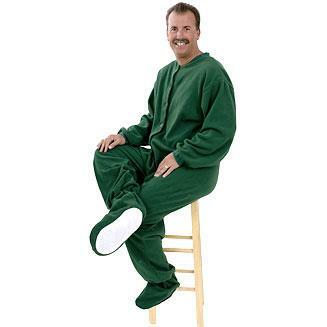 Remember those footed pajamas that you loved as a kid? 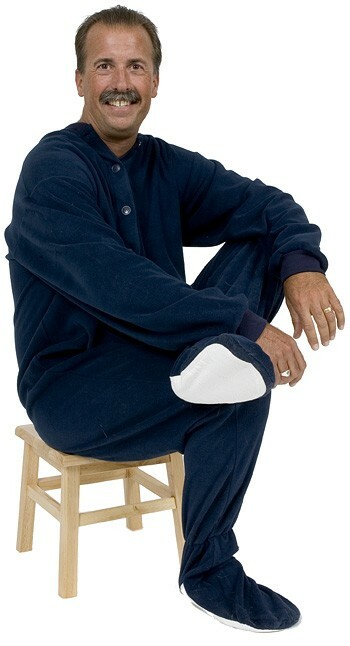 Well, here in a classic navy micro-polar fleece fabric we bring you a one piece footy PJ from Big Feet Pajamas. 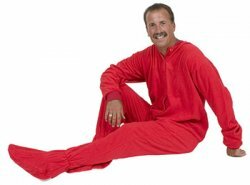 This PJ is unique, whimsical, practical, warm and comfy. 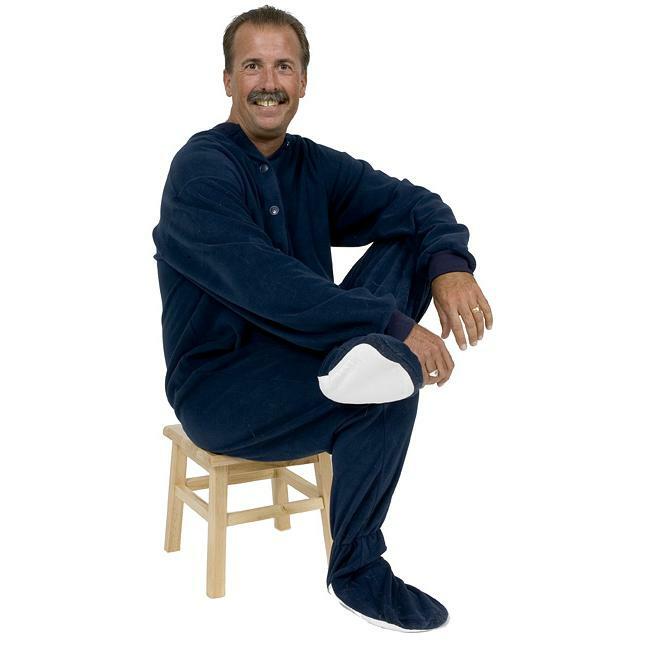 Ideal for chilly nights, Big Feet Fleece are constructed of a durable, yet luxurious 230 weight, anti-pill fabric. 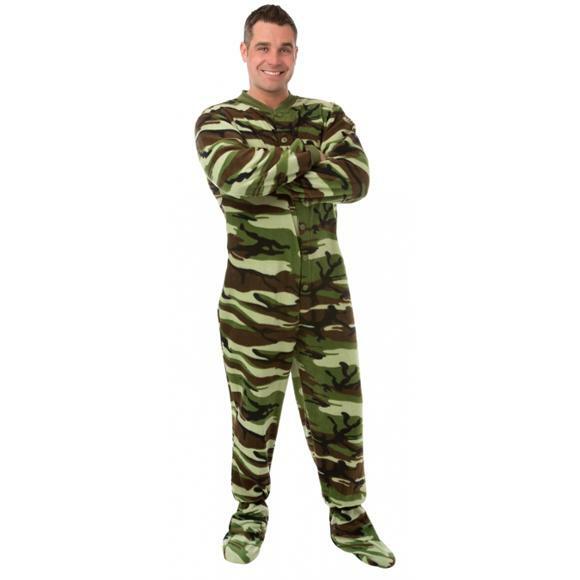 Button front with banded cuffs and collar. Once you jump into a Big Feet footy you’ll never want to jump out! Truly unisex for men or women. Refer to the size chart to determine which size is best for you. Like this style? 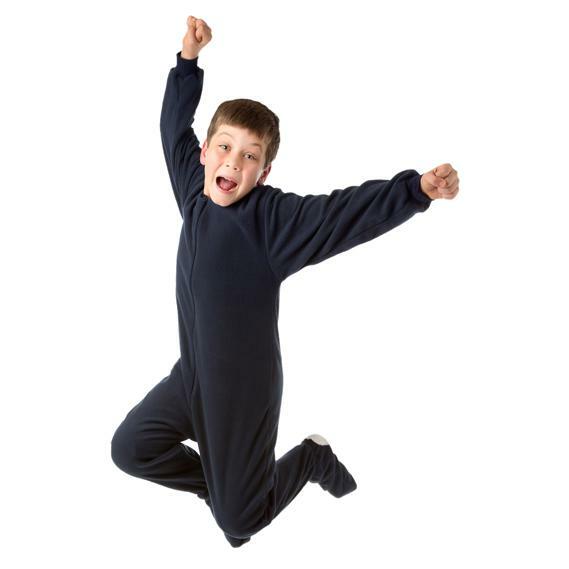 Check out matching footies in red, pink, black, purple and hunter green.